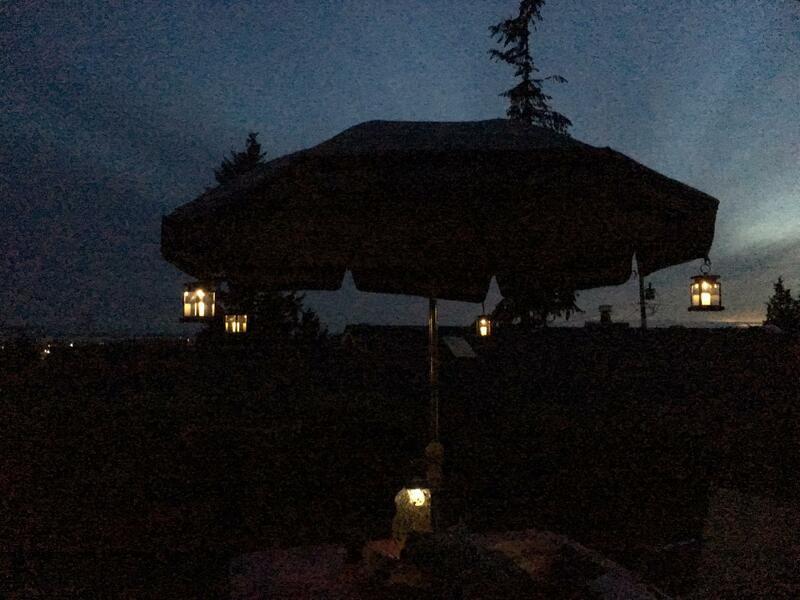 Enjoy the outdoor activities nicely and spend more time at night with patio umbrella lights. 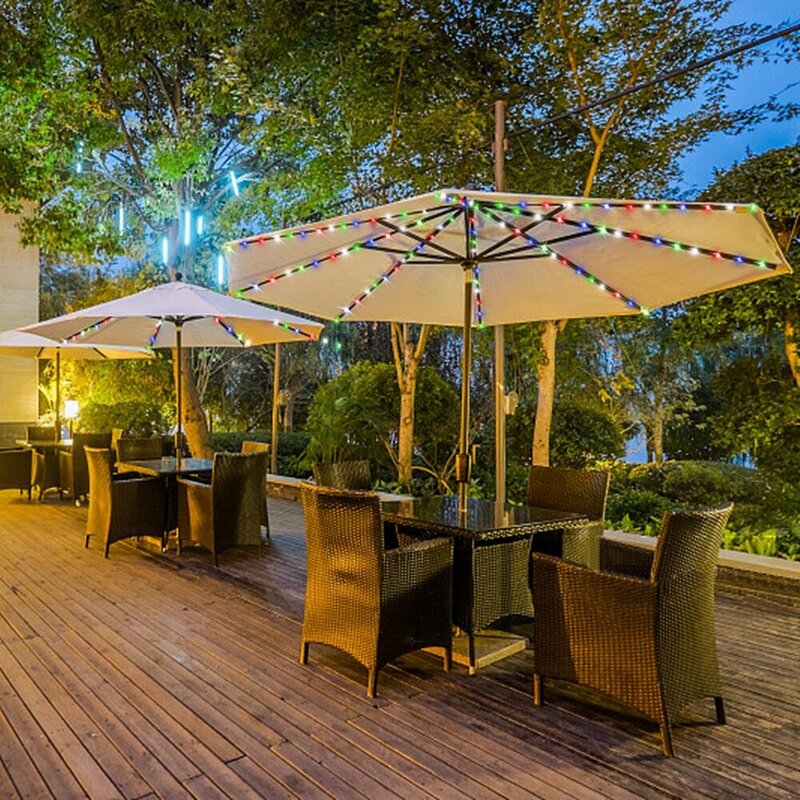 You can decorate your patio umbrella with the perfect illumination of outdoor lights for meals or entertaining. 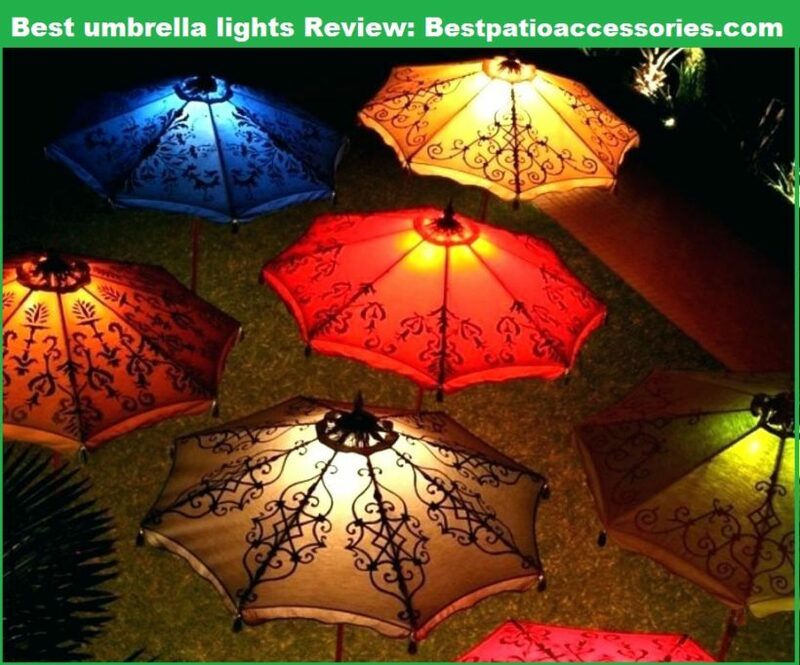 Beautiful looking umbrella lights also includes style in your patio or backyard. 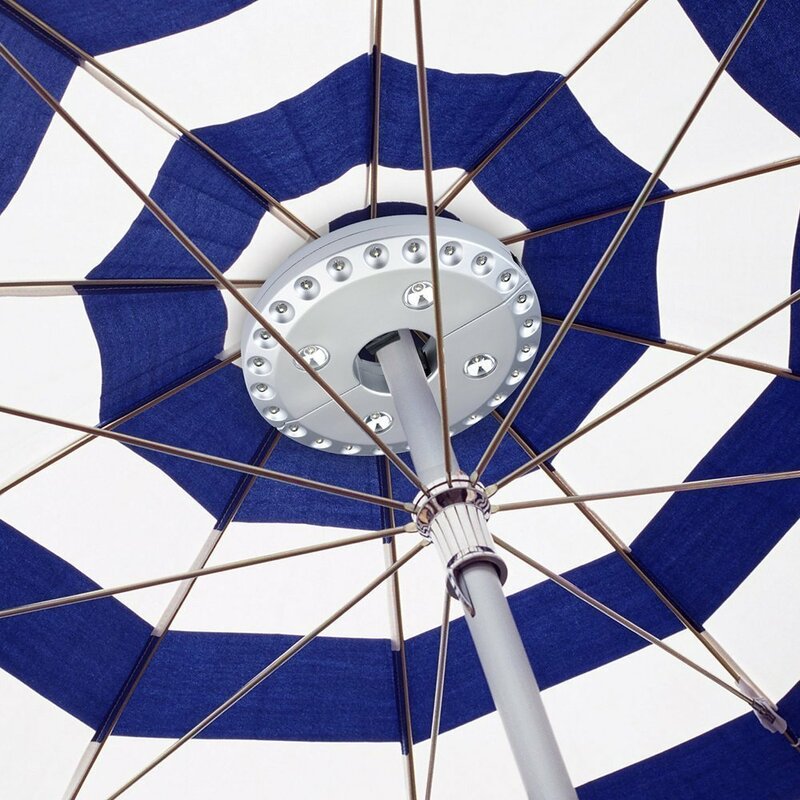 We’ll help you to find the perfect outdoor umbrella lighting solution for your home. You will definitely need a lighting system at night in terms of view the area around your patio table. You may don’t think about illumination at the daylight under the sun. But when the sun cannot help you at night, you desperately need something which can provide the light. You also need a patio umbrella to use these attractive lights. Many kinds and types of umbrella lights are available at the market such as crank lighted, rechargeable lights, solar cluster, and many others. When you shop online, we want to make sure that you can find the best and ideal items. Many stores provide all kinds of umbrella light items for respective customers. With hundreds of unique patio lights, you can browse through our wide selection of brands. Truly, this solar light is a great revolutionary product and it’s perfect for outdoor and indoor applications. We can ensure you that it’s a fresh new idea in lighting solutions. These umbrella lights are fully equipped with a magnetized cover along with an indoor and outdoor mounting bracket for easy installation. This LED light introduces the wire-free solar charging method through magnetic induction. 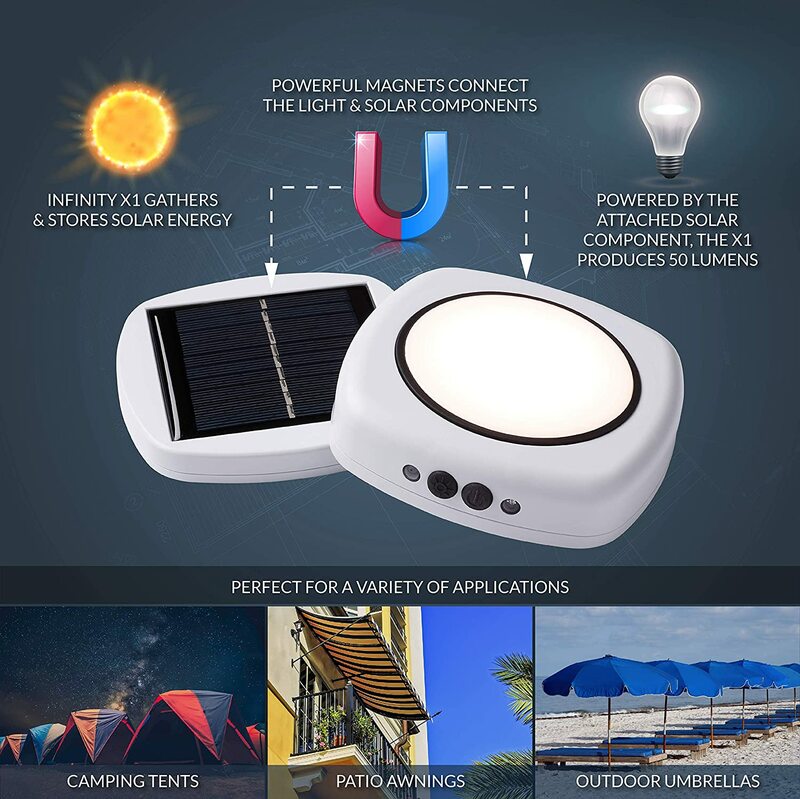 For an easy application on surfaces such as a tent or umbrella, the unique solar charging magnetized cover attaches to the light component. The power of the sunlight feeds into the LED light for an infinitely reusable light source. The solar panel charges the battery at daylight and produces a bright light at night. This solar light is sturdy enough and portable for easy traveling. These led umbrella lights come with versatile mounting options. The included outdoor bracket allows for installation on tool sheds. While an indoor mounting bracket gives you the freedom to conveniently install the LED light in closets, garages or pantries. If you use it at indoor the magnetized cover will be not needed and the light will be instead powered by 3 AAA batteries. Its built-in battery fully recharges with 6 hours of direct sunlight and lasts up to 20 hours on 5-lumen mode. If you want to extend your runtime up to 45 hours by adding an additional 3 AAA batteries. These lights are fully designed with an automated system. Its accent light turns on at dusk and turns off at dawn. Surprisingly, when the microwave motion sensor detects any movement in a 360° range, the bright light turns on. It’s too easy to install this umbrella light. Simply just bring the two halves of the device together with the fabric between them to provide a warm light under your umbrella at night. The built-in microwave motion sensor is far superior to other solar lights. Wire-free solar charging through magnetic induction. 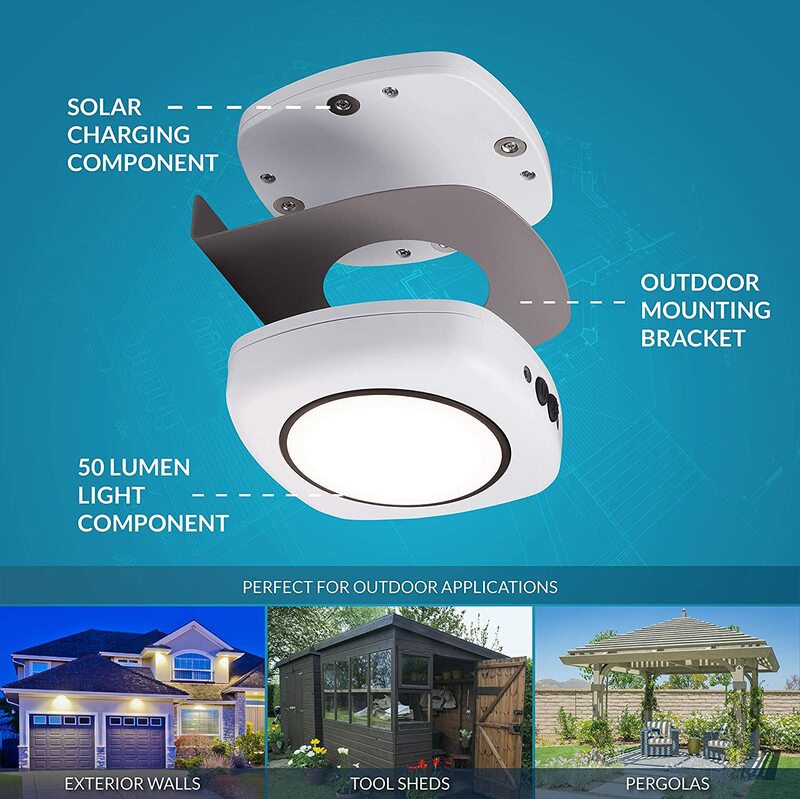 The ultimate solar light with three functions. Sturdy enough to handle the great outdoors. Not whether or water resistance. The round shape full moon design of this umbrella light makes the lighting area wide. It also looks like a full, bright moon. This product can be used as an umbrella light, temporary emergency light, camping tent light or reading light. These LED lights are bright enough but not dazzling and ideal for dining ambiance. This durable and sturdy patio umbrella light is made from ABS plastic material. You can switch these lights in 3 modes (Dim, Moderate, Bright). It can provide 100 lumens at the bright mode. You can easily choose the brightness level you need every occasion, such as eating outside, BBQ, playing cards, sitting on the patio at night etc. Simply press the ON/OFF black color button to turn on 28 LEDs, 24 LEDs or 4 LEDs. It features simple and easy changing battery, a set of the battery can make it light for up to 24 hrs. No tools will be required to change the battery. It’s very convenient for changing the battery because of its easy carry and you don’t need to hook up any wires. You can settle these outdoor umbrella lights in two different installation ways. Firstly, the adjustable clamps make it suitable for umbrella poles perfectly without any kind of wire. Secondly, the flexible hooks can be lifted up to make the lamp hung on anywhere you want. You can also adjust the height to control beam and intensity. Face down mounted for direct lighting and face up for indirect lighting. Built-in auto adjustable strong clamp. Three levels of brightness for three different modes. Can be hung on with two hooks. 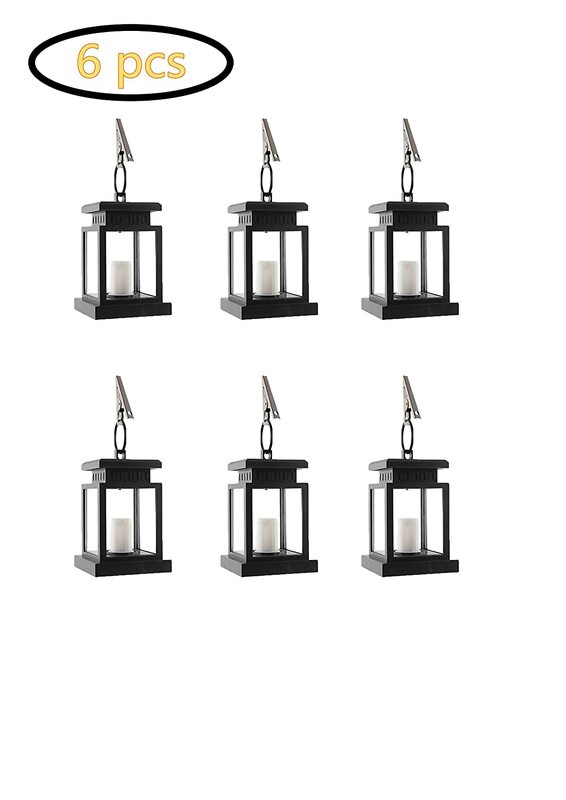 The candle lantern design of this decorative solar powered light adds ambiance to any space. Because of its solar charging system, you don’t have to depend on batteries. Amazingly, the light sensor of this item ensures the lights automatically come on at dark and turn off with ambient light! Also, the lights will automatically charge itself at daytime. This high-quality light is suitable for a tree, beach umbrella or pavilion. It can be easily fixed or moved simulates the twinkle candle effect with the steel hand. You can enjoy the light at night and charge this solar energy lamp at day. All of these umbrella lights features low carbon and environmental protection. This outdoor solar umbrella lantern is made with ABS plastic and iron materials. You have to charge the solar panels for 4.5 hours under standard sunlight then it can light up to 6-9 hrs. You can enjoy the illumination of these solar umbrella lights even on overcast days. This vintage and energy saving umbrella light is wireless as well as easy to use. Because the Amorphous solar cell of this outdoor light works in all light conditions. The rechargeable battery is included with this umbrella light. So you don’t have to buy the batteries separately. You can buy these lights separately or in a package like 6 pcs, 8 pcs or 4 pcs. Automatically lights up at dusk and turns off at dawn. Works in all light conditions even on overcast days. Lights up to 6-9 hours. With the steel hand, it can be easily fixed or moved. 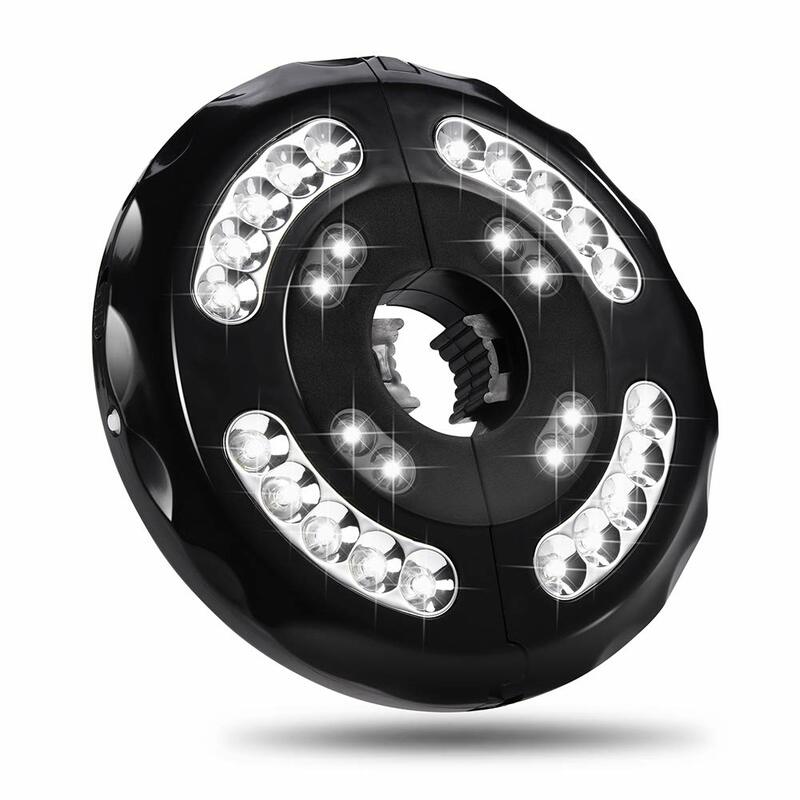 The LED light time can be affected by weather, seasons, places, etc. You have to put the solar panel under direct sunshine. This product is made from durable ABS material. You can enjoy the barbecue or outdoor sports at night with your family & friends. The best side of this item is it requires 3 rechargeable AA batteries to operate the device. So that you don’t have to buy the batteries every day. As well as no hassle of changing the batteries all time. The rechargeable battery is easy to charge in computers, power bank, sockets and so on multiple charging ways. The batteries can last about 10 hours to 24 hours after a full recharge. You can easily purchase the batteries from anywhere. With three lighting modes, you can suit your need for different brightness on different occasions. These patio umbrella lights are specially designed for nocturnal activities, camping tent or temporary emergency use. Just turn on one switch for inter 8 LED lights and another switch for outer 20 LED lights. When you turn on all switches for 28 LED lights then you will get super bright mode. The included LED bulbs are bright enough and energy saving. It is so easy to clamp the light to your umbrella with the built-in auto adjustable strong clamp. No need for any kind of wires, electrical sources and extra tools. This seller offers you a great facility of 3-months money back guarantee. You can return it for a full refund if you are not satisfied for any reason. They will also give you a one-year pro-rated warranty. So you will have nothing to lose with this purchase. Cordless design with built-in flexible auto adjustable clamp. Two independent switches can control three lighting modes. Rechargeable batteries last about 10 hours to 24 hours. Comes with a 3-months money back guarantee and one-year pro-rated warranty. Easily charges in computers, sockets or mobile power bank. You have to buy the rechargeable battery and USB charging cable separately. The most unique feature we found in these lights is the remote control system. It can be used to set a timer, brightness adjustments, and 8 flashing modes. In this umbrella light, you can use any mode from 8 brighter lighting modes that you like at anytime and anywhere. There are total 104 Super Bright LEDs in these string lights. It has 8 strings and the length of each string is 1.3 m. These long-distance LED lights will help to brighten your mood. There is a control button to easily switch the lighting mode. No need to worry about extreme weather. Because these weather-resistant and waterproof outdoor lights use high-quality copper wire. The durable battery case is also IP44 waterproof with a rubber ring. There is no risk of electric shock with the lower voltage of an only 5V power supply. This energy efficient umbrella light is safe for children. This multi-purpose light can be widely applied for a patio umbrella, camping, reading, eating dinner or hiking. It’s very easy to install these lights and no need for extra tools. It requires only 3xAA batteries to operate. 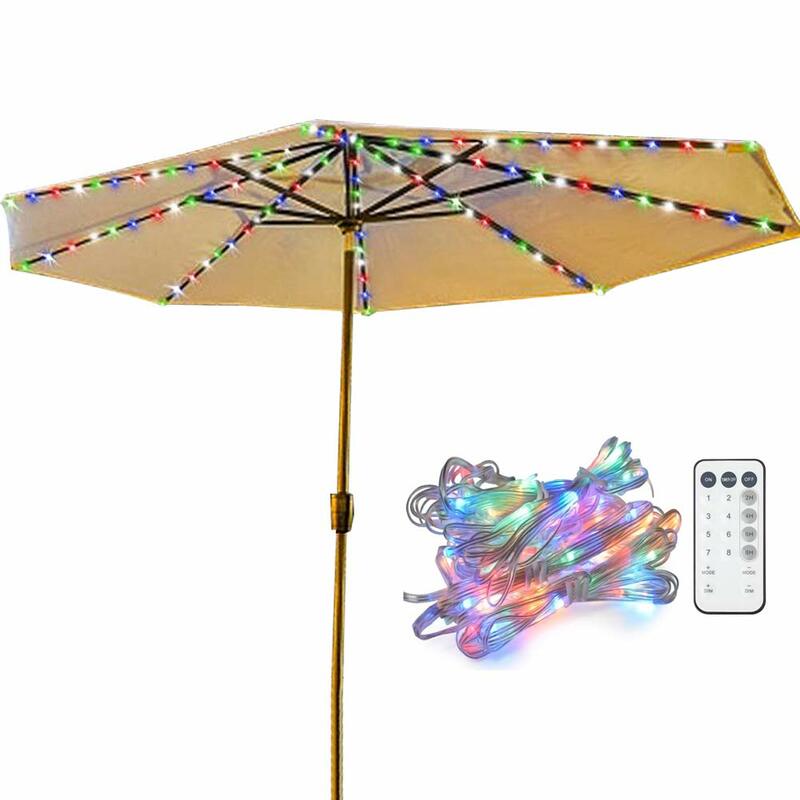 We recommend these lights as a perfect tool for decorating umbrella and also can be used as a holiday lights string to decorate your Christmas tree! You can enjoy 12-months worry-free product guarantee for every purchase from this manufacturer. The remote controller can be used to set a timer and brightness adjustments. It has 8 lighting modes built-in and 10 brightness adjustments. The battery box and light strips are waterproof. 104 LEDs light source gives off warm white light. Provides 12 months worry-free product guarantee. Batteries are not included with the purchase. Before you buy an umbrella light you should follow some instructions. You have to consider your basic requirements. You should think which umbrella light is needed for you. Basically, you will find two umbrella lighting design. They are string lights and disc-shaped lights. Both of them can fulfill your demands. We also discuss the features of LED lantern lights. Another big matter is the lighting power source of your umbrella lights. Mainly, there are three kinds of power sources for patio lights such as solar power, regular batteries or rechargeable batteries. Now you have to decide which is more convenient and easy for you. You should also consider the place of your outdoor activities and weather also. You may need a weatherproof light or a brighter light in terms of dense and murky place. Always try to choose affordable umbrella lights. All of the criteria are tested by our experts. Hopefully, we can provide some essential and helpful reviews that you are searching for.